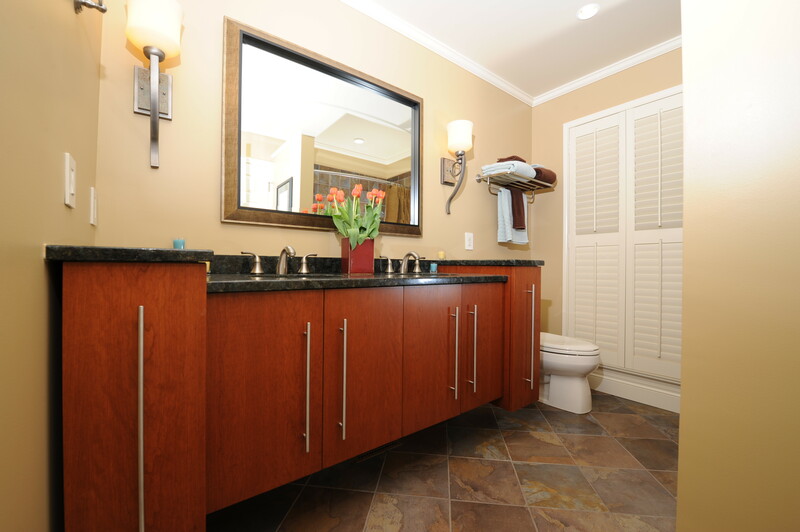 Minor changes to the floor plan allowed us to create this relaxing, spa like environment. 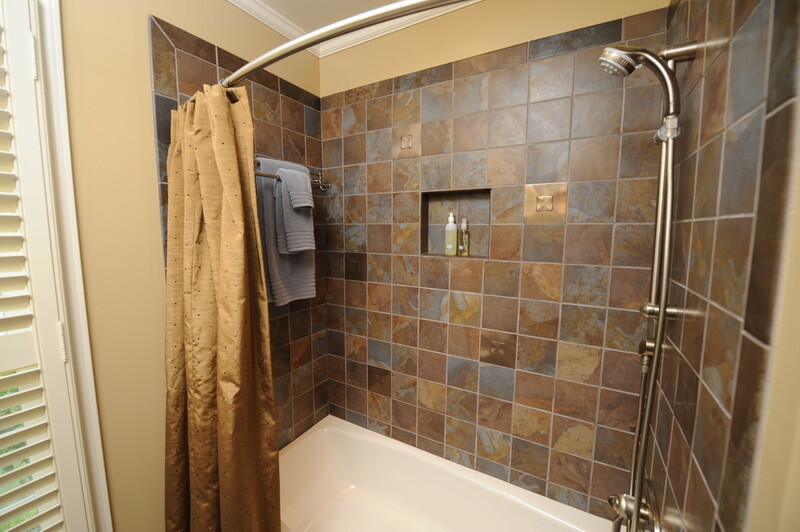 We optimized the available space enlarging the shower and closet. 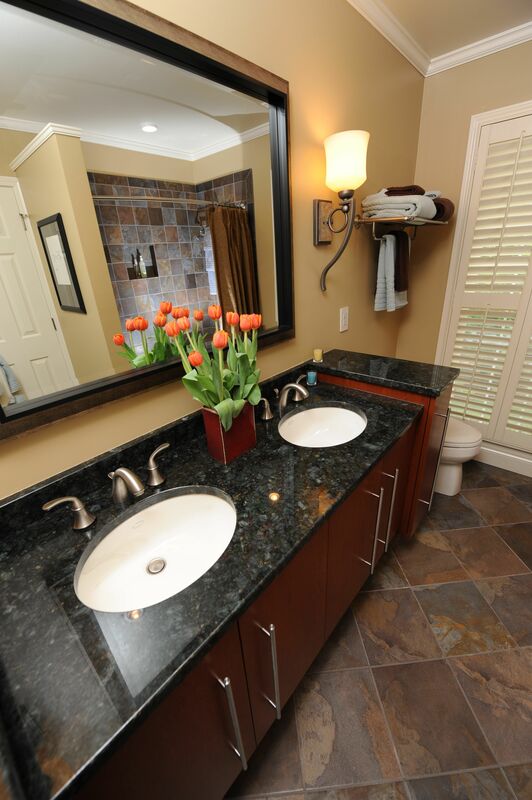 The custom vanity provides significantly more storage and outlets were installed in the cabinets for electric tooth brushes and cell phones. 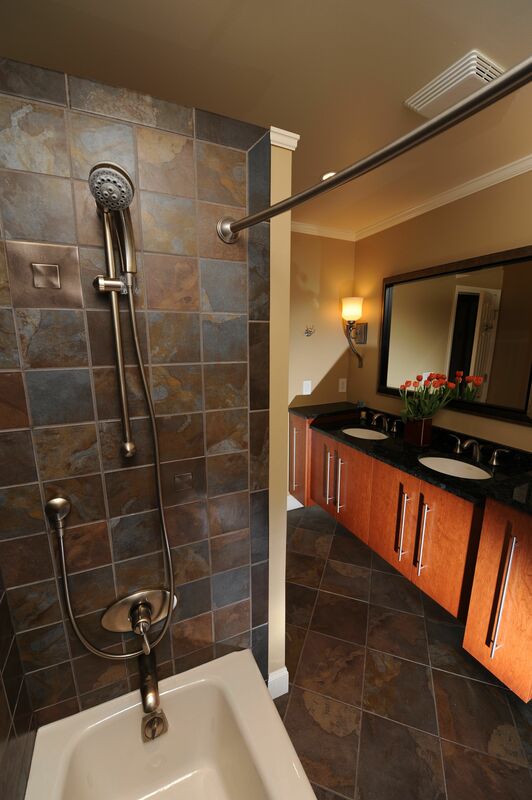 A deep whirlpool tub with a heater, towel warmer and heated floor will keep the owners toasty on the coldest of winter mornings.